Girls in Football–Off the Sidelines and into the Game! Realizing that Flag Football is a truly great team sport, girls continue to poor into and often dominate the game. Even more, girls are enjoying the chance to participate and succeed in tackle youth football around the country. 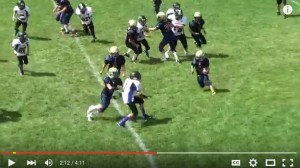 Watch a young female player break through the pack for some long runs! Girls are joining us at Chicago Bears, Green Bay Packers and Philadelphia Eagles Youth Camps. Learn more about our programs and get into the game! 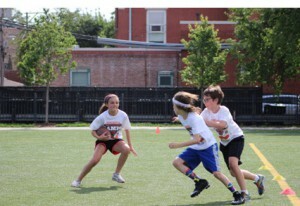 Girls compete and succeed at Chicago Bears Youth Football Camps and enjoy a great experience. 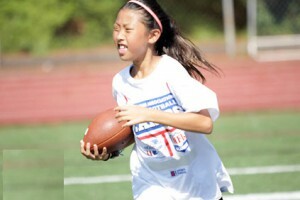 NFL Alumni Hero Camps featured nearly 15% girls–an amazing number and sign that Flag Football will get a boost.